The Verbal Mosh is a comic book podcast. We review comics. Yeah! 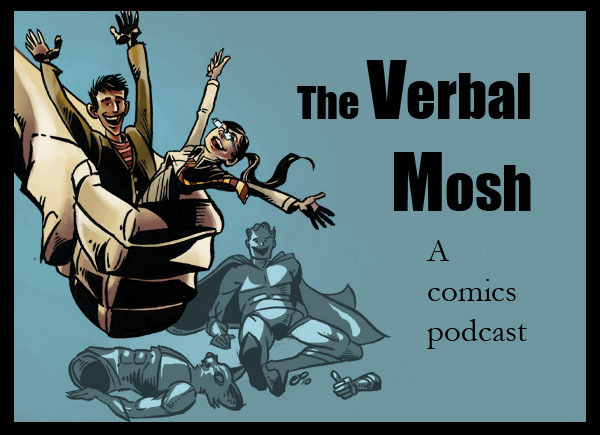 You can hear The Verbal Mosh Ep 162 here or on our facebook page. Like us! This week, we talk about: Batgirl #8, Batman and Robin #8, Conan the Barbarian #3, Green Lantern #8, Saucer Country #2, Scarlet Spider #2, Superboy #8, Thief of Thieves #3, and Winter Soldier #4.